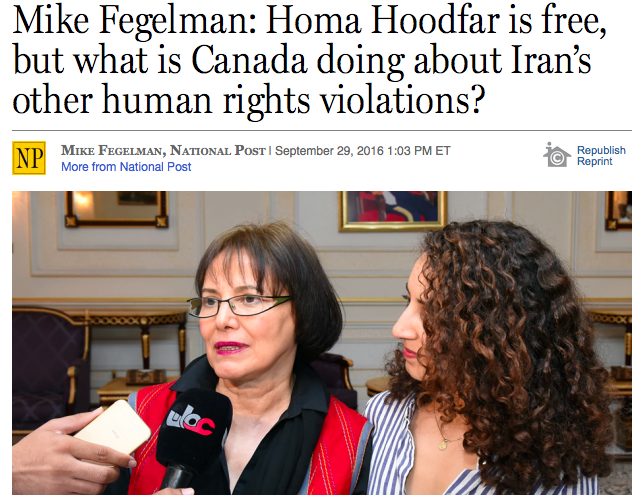 After four long months imprisoned by Iranian authorities on trumped up charges, Canadian professor Homa Hoodfar is back home in Canada. Hoodfar had been languishing in declining health in Iran’s notorious Evin prison, the same prison where Canadian photojournalist Zahra Kazemi was raped and brutally murdered more than a decade ago. Iran had baselessly charged her with fomenting a feminist “soft revolution” against the Islamic Republic of Iran and accused her of “dabbling in feminism and security matters.” But thanks largely due to the personal intervention by Prime Minister Justin Trudeau, along with the continued efforts of Foreign Minister Stéphane Dion, and with assistance by the governments of Oman, Italy and Switzerland, Hoodfar is now free. The Trudeau government can claim with some credibility that their efforts to diplomatically engage Iranian authorities directly (and indirectly with the assistance of Omani officials) brought about the desired results vs. the previous government’s policy of isolationism. As to Iran’s motives for freeing Hoodfar, let’s not be sanguine about thinking they were remorseful; indeed, it was more likely about extracting concessions and seizing a political opportunity. Yet what has evaded the scrutiny of Canada’s media is why Iran’s imprisonment of a Canadian-Iranian citizen was considered a fundamental red line — threatening to halt Canada’s efforts to restore diplomatic relations with Iran — while the many other nefarious activities carried out by the Iranian regime is given a free pass. After all, Iran is a leading state sponsor of terror: Tehran murders dissidents, gays and ethnic minorities. Iran censors journalists while stymying free speech, imposes strict Sharia law and imposes punishments that include floggings, amputations and public executions. 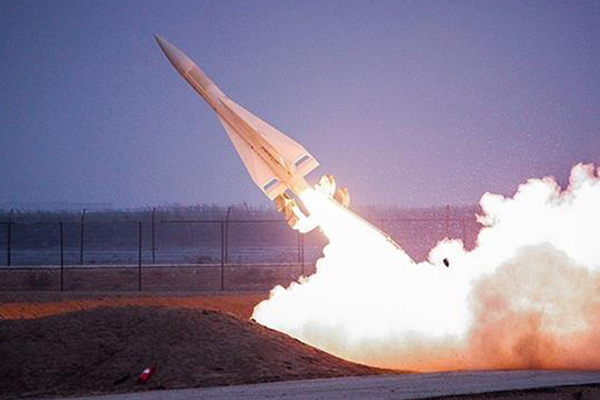 Iran fires intercontinental ballistic missiles in violation of international law, is a destabilizing force in the Middle East and publicly incites the genocide of Jews in their continued calls for Israel to be wiped from the map. Just this week, in fact, Iranian authorities threatened to turn Tel Aviv and Haifa into dust. While Hoodfar’s release is a very welcome development and Trudeau and the Canadian government certainly deserve praise for their efforts that led to her freedom, the question that must be asked by Canadian investigative journalists (and the public at large) is why is Canada’s red line and litmus test for restoring relations with Tehran based primarily, it seems, on consular matters — specifically the detention of a Canadian — instead of Canada conditioning diplomacy on seeing tangible improvements to Iran’s malevolent behaviour, instituting democratic reforms and ceasing human rights violations and global terror. The message Canada appears to be sending is that if a country imprisons a Canadian, Canada can’t restore diplomatic relations, normalize dialogue or do business with its leaders. But if a country engages in egregious acts of terror or gross violations of human rights, the door is still open to bridging the diplomatic divide. Canada must articulate its principles and preconditions on which it will base its establishment of diplomatic relations with Iran, especially as it’s listed as a proscribed state sponsor of terror. These questions — which our media should be asking — deserve immediate answers. Mike Fegelman is Executive Director of HonestReporting Canada (www.HonestReporting.ca) a non-profit organization ensuring fair and accurate Canadian media coverage of Israel.